It doesn’t really matter if you are a businessman that is doing business for a long time, or if you are new to owning and running your own business. Everyone that is running their own business should have business insurance. The problem about business insurance is that there are many myths and lies on the internet that people believe. And, this can get them into serious trouble later on. It is essential to make sure that you know the real truth behind business insurance. Know if this is really something that you need to have. About running your business from your home, and combining your home and business insurance into one. These are the real truth that you should know before you make any decisions about your business insurance. This is the biggest mistake that business owners can make. They think that they can save on business insurance if they are working from home. They have insurance for the home, and everything included in the home. So, it will also include the business as well. This isn’t the truth at all. If you are running a business from home, you should still need to have business insurance. The home insurance won’t cover some of the things that are business related. Even, if you have one of the best home insurance companies out there. You have a business where you are going to your clients. So, you don’t have your own premises and you don’t work from home either. So, you don’t need business insurance. If something happens, you are going to use the client’s insurance. You are after all working at their premises. This is so not the truth. It doesn’t matter where you are working. You are going to need to have your own business insurance. The client’s insurance doesn’t cover you. Even, if something happens at their office. You will not be covered by the client’s insurance. If you don’t have your own insurance, you are going to lose a lot of money. You are not ensuring a building. You are ensuring your business. There are different business insurance options. And, you need to make sure that you are getting the business insurance that is designed for your business’s needs. This is a problem that many business owners are facing. They don’t make sure that they are using the best insurance for their business’s needs. They think that there is just one type of business insurance. Not all the businesses are making a huge amount of money. Businesses where you have an informal business that is just bringing in some extra money at the end of the month. If this sounds like your business, you still need to make sure that you have business insurance. Even if your business is small, with a disaster you are still going to lose a lot of money. Money that might mean that you can’t continue with your business. With the business insurance, you will be able to get paid and to ensure that you can start over, without having any financial losses. You need to make sure that your business insurance is covering natural disasters. There are so many business owners that are losing everything because they automatically thought that their insurance will cover any natural disasters. This isn’t the case. There are many business insurance companies that have additional fees for covering natural disasters. And, if you don’t double check what your insurance is covering, you might be one of those that are losing everything after a natural disaster. It is worth paying that extra for this coverage. When you are going to get business insurance for the first time, there are a couple of things that you should know. First of all, doing research is essential. There are many insurance companies that are just trying to make as much money as possible. But, when they need to process a claim, it is going to take forever to get some service. And, this isn’t something that you want to struggle with. Make sure that you are looking at the different options that you have from different insurance companies. Compare the features, the benefits and the price of each to see which one is going to give you value for money. Don’t go for the cheapest option, but the most expensive one might not be the best either. You should also make sure about what the insurance is going to cover. 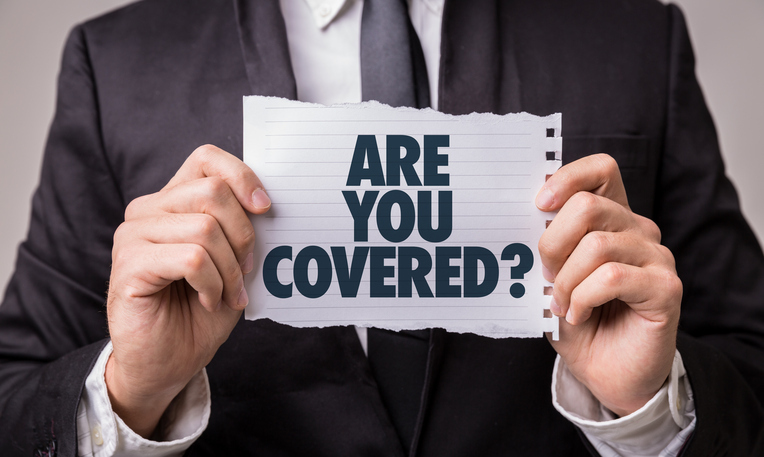 Is this the right coverage that your business needs, or are there something else that needs to be covered? Something that can mean the difference between losing everything and able to start over. When it comes to business insurance, there are so many things that you should know. Truths that people didn’t realize or myths that people believed that might have lost their businesses. If you have your own business, no matter how big or small, you should have some sort of business insurance. Business insurance that will cover any losses that your business might have or any disaster that might hit your business. It is really important to know the difference between myths and the truth. Especially, if you want your business to succeed.